Queen’s 2018 biopic, “Bohemian Rhapsody”, has passed the $900 million mark at the box office worldwide, according to The Hollywood Reporter. The April 12-14 weekend added to the film’s gross since its release last fall, with new totals of $216.2 million in North America and $685.2 million overseas, where a late run in China ($13.9 million) pushed its worldwide total past $900 million; it also continues to play in Japan, where it has earned $115.9 million to date. 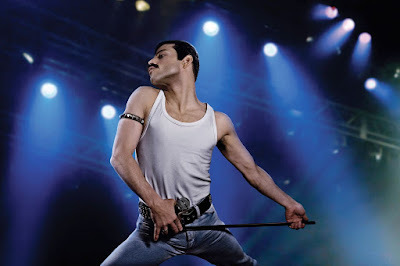 “Bohemian Rhapsody” is now the fourth highest-grossing film of all time for 20th Century Fox, behind only “Avatar” (2009), “Titanic” (1997) and “Star Wars: Episode I: Phantom Menace” (1999). The project’s success has inspired the UK band’s 2019/2020 Rhapsody tour, which premieres with a North American trek that begins in July and early 2020 appearances in New Zealand and Australia.